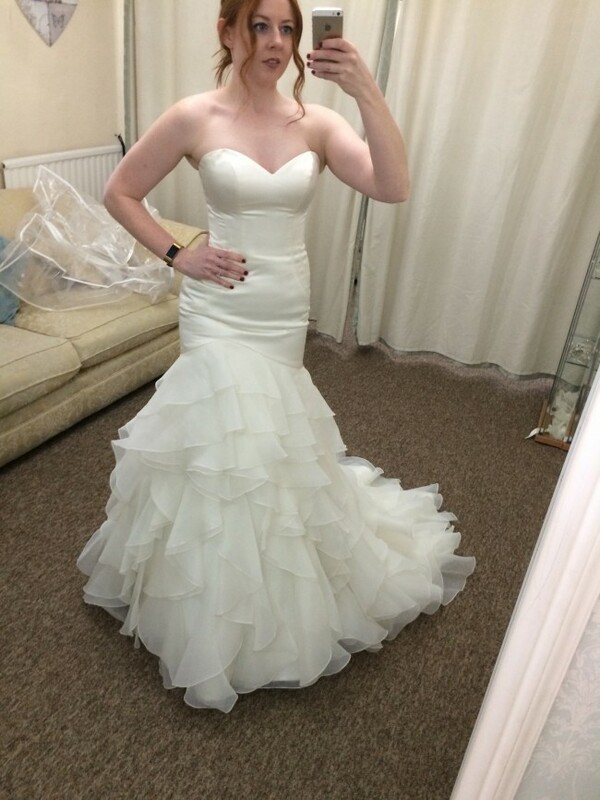 Gorgeous sample dress available for sale. I purchased a new dress due to a change of venue not suiting this dress. Very comfortable and lightweight. True to size as a size 10. Bought in a sample sale, should have been £1400 originally. Needs a new hook and eye on the back of the dress but otherwise in amazing condition. Never had any alterations. Belt and veil not included.